The Word in Peace, Palm Sunday: With friends like these, who needs enemies? Jesus knew a thing or two about the finicky nature of human fidelity. This weekend’s readings bear witness to that. 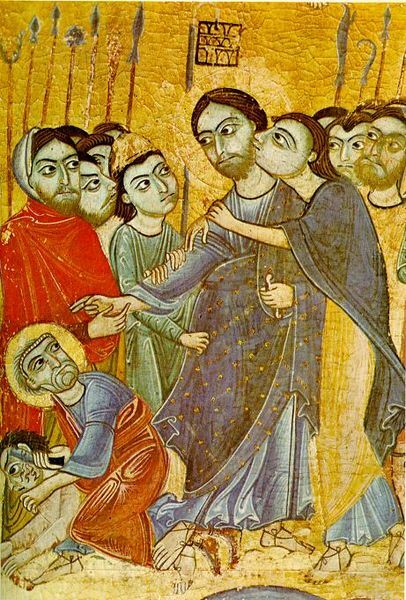 In fact, the reading covering the Passion starts with Judas’ initial act of betrayal (Matthew 26:14). It is easy to key in on Judas. He performed the ultimate act of betrayal by selling his spiritual leader to his death for 30 pieces of silver. The name “Judas” remains a synonym of the word “traitor,” along with “Benedict Arnold” and “Quisling.” But after taking a closer look at the readings today, betrayal was something of a common theme. While Peter did not arrange for Jesus’ arrest, his actions betrayed his lack of faith. When confronted three times about his discipleship, he denied it (vv. 69-75), fulfilling a prophecy that Jesus had made earlier that evening (vv. 33-34). How many times have I been Peter? Every time I have sidestepped answering questions about my faith to avoid awkwardness, I have been Peter. Every time that I have expressed my faith in an apologetic tone, I have been Peter. Every time that I have recoiled from acts of charity or justice because of fear of what it would look like, I have been Peter. How many times have I been Peter, James and John? Every time I put off my social justice work to a “better” time, I have been Peter, James and John. Every time I have eaten too much, drank too much or slept too much, I have been Peter, James and John. Every time that I have given up on a worthy cause when there was still work to be done, I have been Peter, James and John. Pontius Pilate did not want to crucify Jesus. As Roman governor, he was puzzled that the Jewish leaders would want this man from Galilee to receive the method of execution that was usually reserved for slaves and rebels. It was an internal Jewish matter, he thought, not one that the state should be expected to deal with it. But in a cop-out under pressure, he dealt with it, authorizing Jesus’ crucifixion. As the man who had the power of the state behind him, he betrayed Jesus to the power of the mob. Every time that our government spies on its people, it is Pontius Pilate. 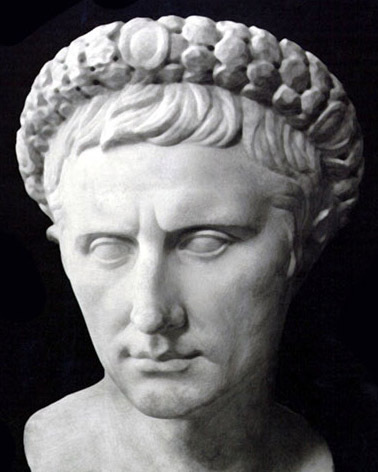 Every time that our government sends young men and women to die in another part of the world for the cause of empire, it is Pontius Pilate. Every time that our government injects a lethal cocktail into a human being, it is Pontius Pilate. We act this out during the mass for a reason: we really are that crowd. When we refuse to do what we can to feed the hungry and lift them out of hunger, we are that crowd. When we refuse to do what we can to provide water to the thirsty and provide them the resources to acquire water, we are that crowd. When we shun visitors and refugees away from our homes, communities and country, we are that crowd. Palm Sunday is a reminder that we can—and do—turn away from God on a dime. As we will see in a week, the story does not end with that state of weakness. The Resurrection is just around the corner. But we must first traverse the Way of the Cross. This entry was posted in Uncategorized by Dave Montrose. Bookmark the permalink.